This is a rather random post, but what else are blogs for? A friend brought this gum back as a souvenir from Italy. It looks like something a graphics designer in Williamsburg would have cooked up, but no. Brooklyn gum is not just retro looking; it is truly retro - Italians have been chomping on it since World War II. 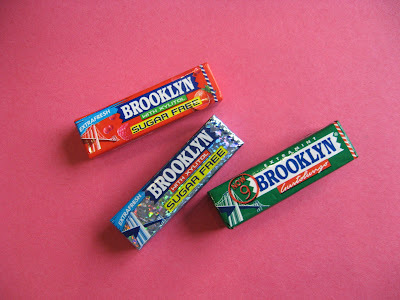 Brooklyn gum is as common in Bologna as Bazooka is in Brooklyn. But Brooklyn gum in Brooklyn? Fugetaboutit. I wish my friend had brought back a suitcase of the stuff. Wouldn't these make great party favors? In unrelated candy news, a workmate gave me two of these. 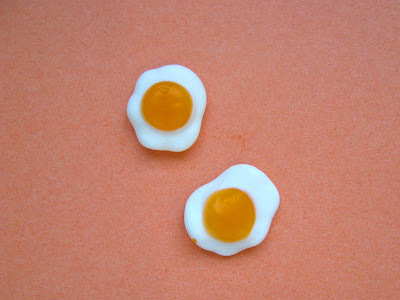 They are peach-flavored gummy eggs he picked up in Lancaster, Pennsylvania. Peached eggs. Gotta love that Amish wit. they sell this at blue apron also.